As soon as the weather becomes chillier I start enjoying more than ever some cozy nights in (not that I’m a fan of nights out anytime of the year, but you know…!) and it was a while that I wanted to experiment with popcorn and do something a little bit different than salt & butter. 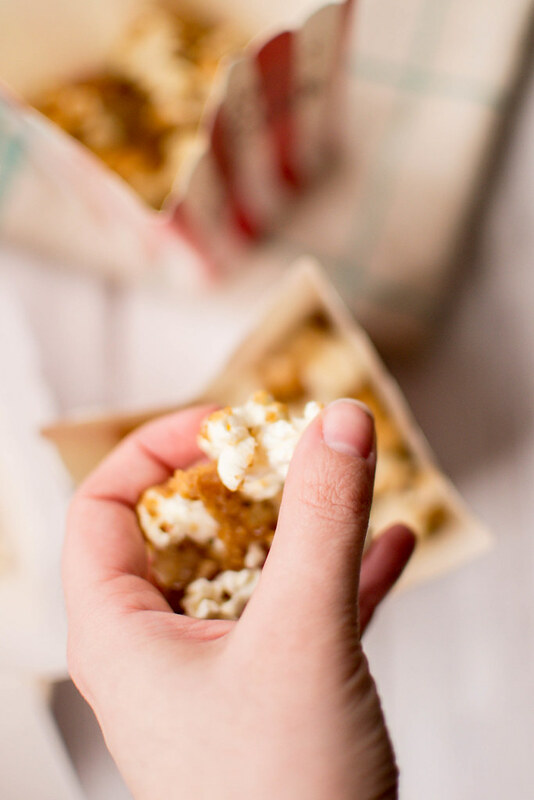 I can’t deny I was pushed to actually do it as soon as I saw those super cute little popcorn boxes (similar here) in the shop and I couldn’t help but pick them up to put together a cinema night little party (kind of… me and my boyfriend the only ones invited). 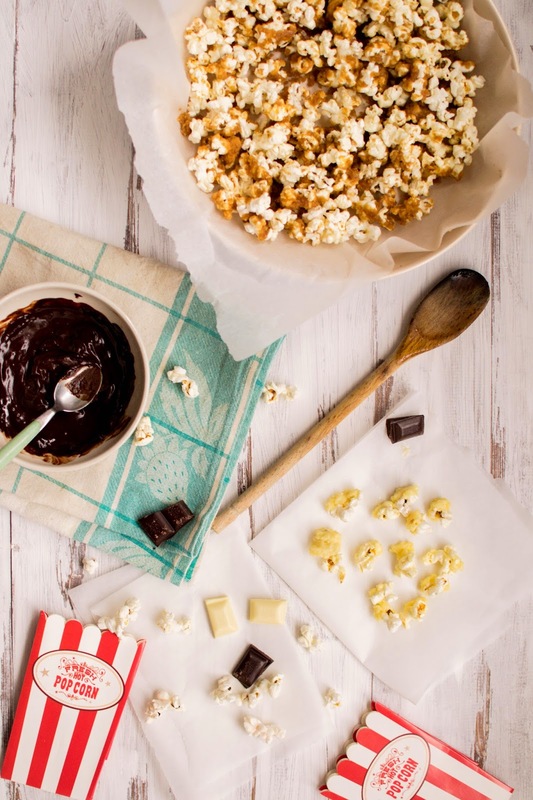 I made my caramel, melted most of the chocolate in my kitchen pantry and had a lot of fun at putting together this simply recipe/idea that could be perfect for any cinema night in you’re planning! 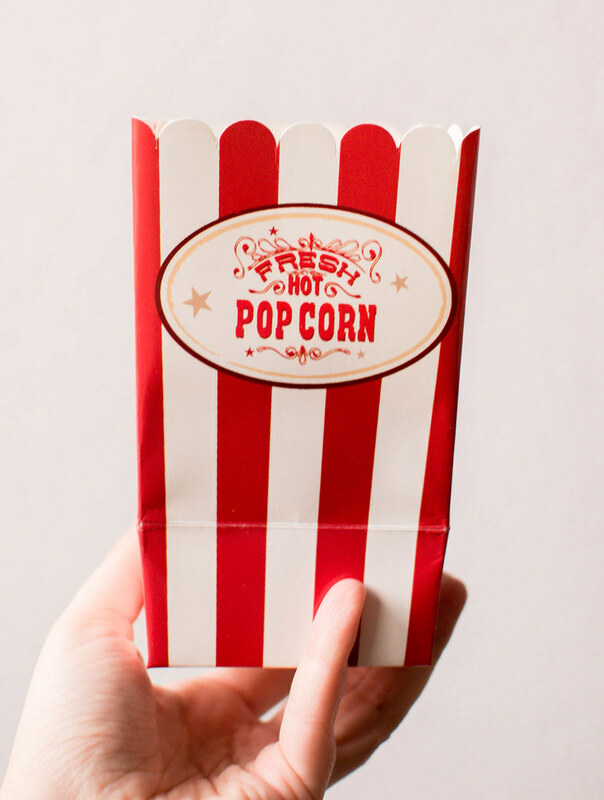 1 :: Follow the instructions on your microwave popcorn packaging and make the kernels pop! When they are ready, pour around 1/4 of the whole pack on a baking tray lined with parchment paper and pour the sea salt over them. 2 :: Pour the sugar in a saucepan with the butter and the water and place it on a very low heat to melt. This can take about 10 minutes, meanwhile you won’t stir the mixture with a spoon, but only gently swirl the saucepan around once or twice. 3 :: After ten minutes add the baking soda and stir it in, then leave the saucepan on a low heat until the mixture starts bubbling. Then remove from heat. 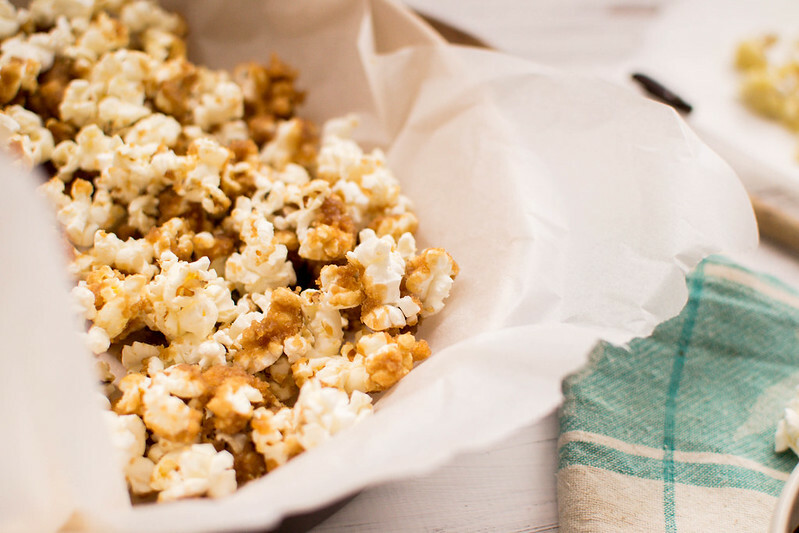 4 :: Quickly pour the caramel over the popcorn you prepared on the baking tray, and using a non-stick spatula mix the caramel around to coat all the popcorn evenly. Leave it cool for 10/15 minutes until the caramel has solidified. 5 :: Meanwhile melt your dark and/or white chocolate in the microwave, each of them together with two teaspoons of butter. 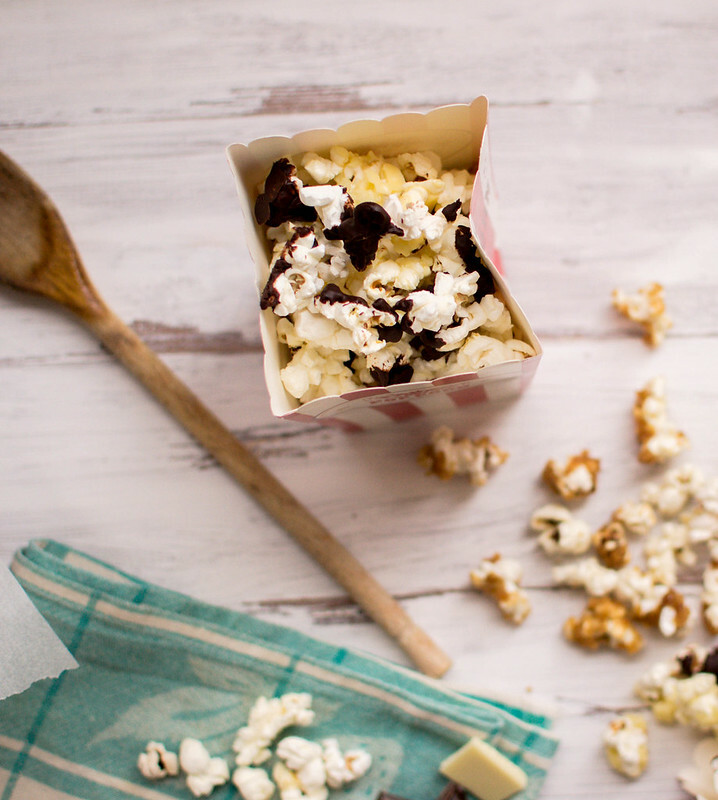 6 :: Prepare a few parchment paper foils to place your chocolate popcorn to cool. 7 :: Take 1/2 of the remaining popcorn and coat them with the melted chocolates, then place every coated popcorn on the parchment paper foils you prepared. Leave it cool at room temperature or in the fridge until the chocolate is solid. 8 :: Then start building up every pop corn box. 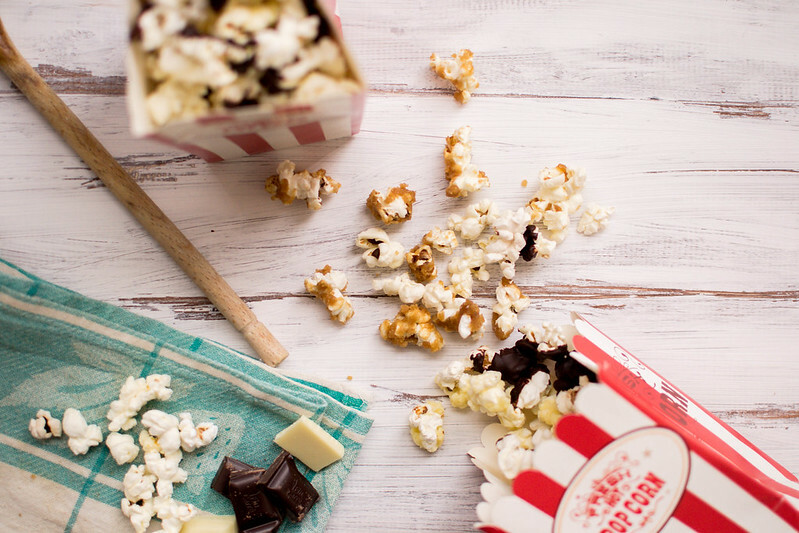 Evenly divide the chocolate popcorn and salted caramel popcorn in the popcorn boxes and top with some left over classic popcorn as well. 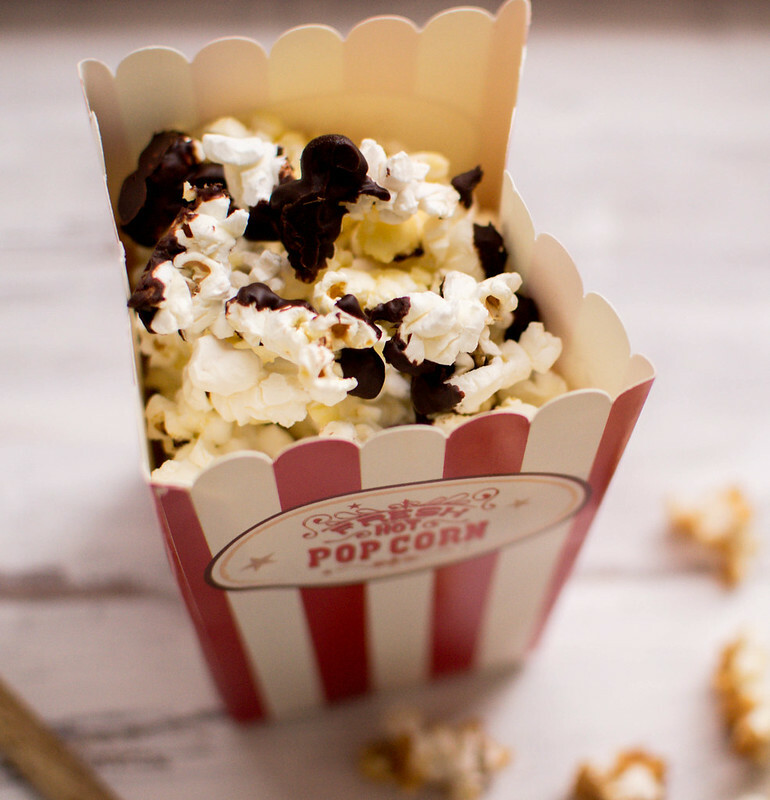 And your little popcorn treats will be ready for the cinema night! Wha?? 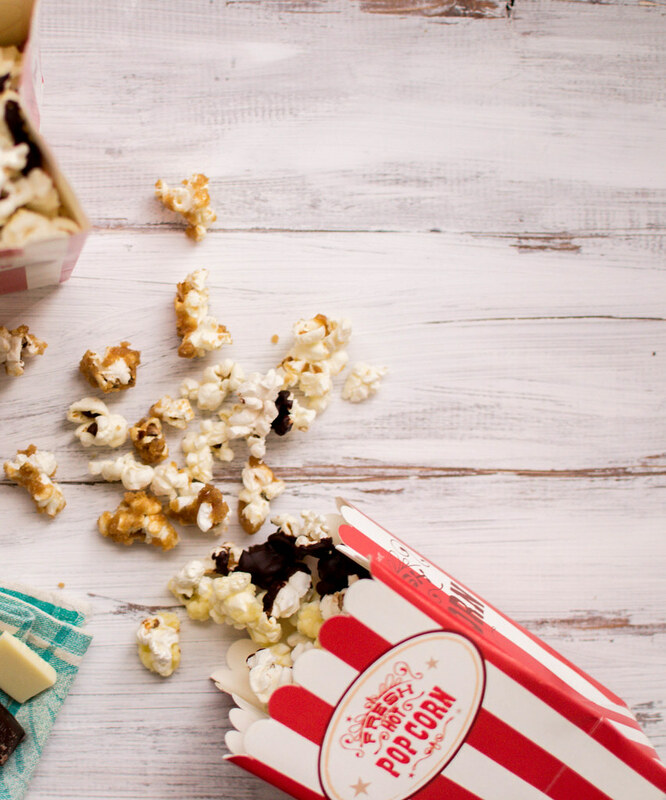 You’ve never tried sweet popcorn? Nom Nom Nom Nom. This looks amazing. Might give it a try 🙂 I LOVE popcorn. 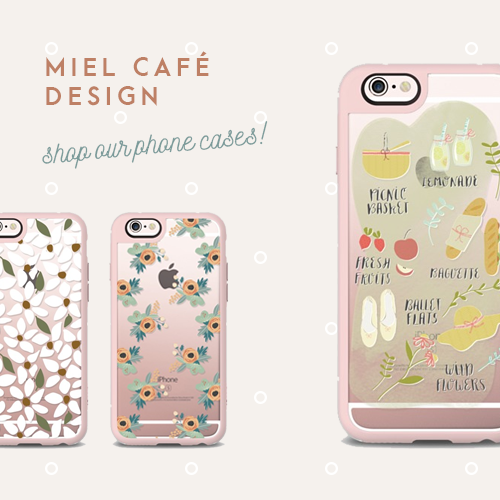 This is a great excuse to have a movie night too.